This is the most important part. Have a chat with your other half and decide on a budget that you know you will stick to! Make a list of places you would like to visit and do extensive research and price comparisons on each destination. Check out resorts, hotels, and other activities that location has available. If you choose to confide in a travel agent, they can help you find deals and certain travel packages at for discounted rates and offer a much more stress-free experience when planning. Remember that booking in advance is the cheapest way to travel. at My Tio Rico, choosing an auto title loan option can help you pay off your honeymoon expenses or debt without the temptation to add on any additional expenses. This option is a great idea when you have to plan early and pay in advance, but know you will receive a lot of money or cash gifts at your wedding reception that you can pay your loan back with. 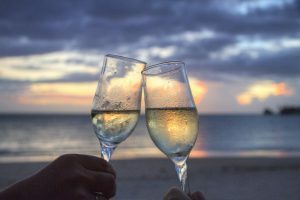 The experts at My Tio Rico hope these tips have helped you when it comes to keeping in mind the financial process of your big weekend and honeymoon. Do you have any tips to share with the community around you? Feel free to comment in the section below. If you would like to learn how My Tio Rico’s auto title loans Tucson AZ program can help you save money whether it be on your honeymoon or something else, fill out the form to your right and tell us a little about yourself and situation. A financial loan expert will be in contact with you to offer you money saving solutions as soon as possible!